The two Korea’s are discussing plans to finally bring an official end to their almost 68 year war according to the South Korean Munhwa Ilbo newspaper. According to the report, next week’s summit between South Korean President Moon Jae-In and North Korean leader Kim Jong-Un could see the leaders announce the scaling down of military tensions between the two nations, who remain technically at war. 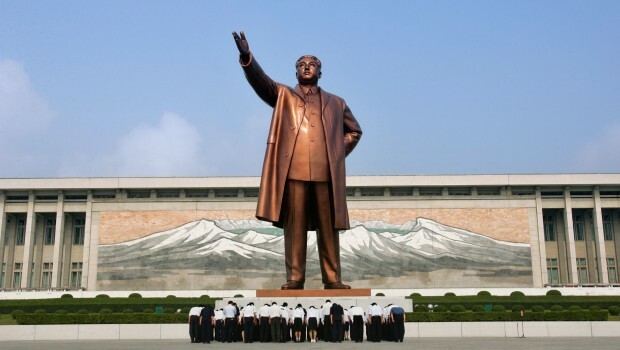 The war began on 25 June 1950, when North Korea invaded the south, with China and Russia later stepping in after the United Nations moved to defend Seoul, pushing North Korean troops back beyond the 38th parallel, which had acted as the border between both sides before the start of hostilities. An armistice, but not a peace treaty was signed on 19 July, 1953, and has been in force since. John Delury, associate professor of Chinese studies at Yonsei University in Seoul, said: "Ending the state of conflict is the core of the whole thing. Peace is as complicated as denuclearization. There also has to be a process of actually delivering the peace." In a groundbreaking development, a direct line between the two leaders could be connected on Friday as diplomacy reaches new heights. Successful talks between the two parties could increase the likelihood of talks between Kim and US President Donald Trump taking place, which have tentatively been proposed for May. Members of the US intelligence community are understood to have been in communication with North Korean officials regarding the possibility of such a meeting, and have even held face-to-face discussions in a third country. Despite the two Koreas' avoidance of full-scale conflict since 1953, the border that cuts through the peninsula, known as the demilitarised zone, is heavily fortified with hundreds of thousands of troops and equipment stationed on either side, including warships and submarines in the seas adjacent. To take note of perhaps, according to one account, shortly after the start of the war, in July 1950, India had suggested to the allies that China might pressure the North into accepting a ceasefire along the 38th parallel - as finally occurred - if the Communist government of China was permitted to take control of the People's Republic of China's seat at the UN Security Council.